If someone were to mention “tourism” alone, this conjures up thoughts of sunny beaches, fun, relaxation, blue waters, and sinful indulgence (within reason of course). 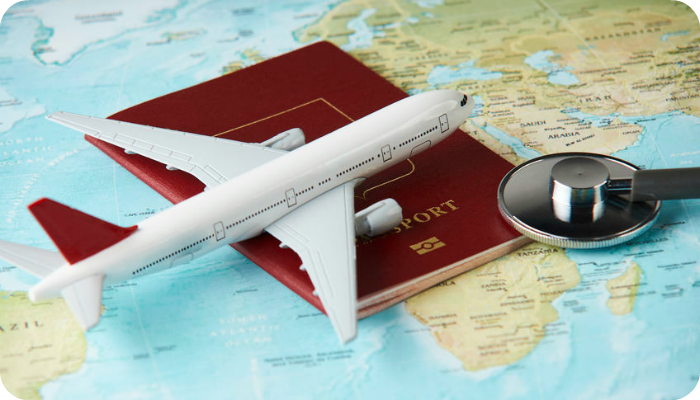 If the same person were to mention “medical tourism,” a term that refers to a type of travel for treatments that are elective and generally of an acute nature, you may be puzzled as to why someone would consider mixing tourism travel with medical treatments. The simple answer is to reduce costs and seek care that may be of a standard and/or quality that is better than what you may receive in your home country. 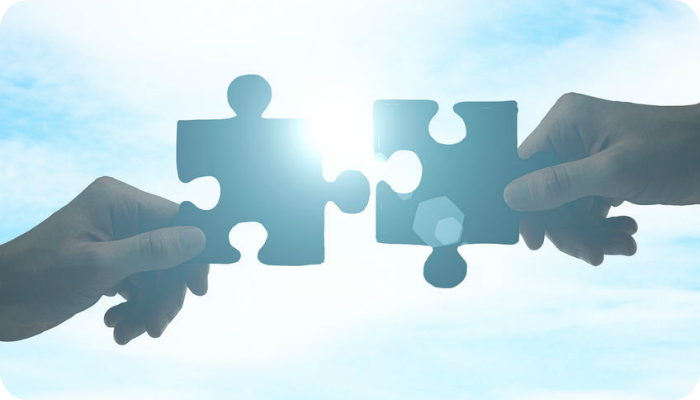 Quality of benefits is linked to organizational productivity and employee retention, both of which have been proven to indirectly impact the bottomline. To generalize, better benefits equal happier, healthier people, which means they are more likely to work harder and stay longer. However, healthcare, as one of the top expenses organizations incur, is also directly linked to an organization’s financial health. In 2017, the average annual cost for employer-sponsored health insurance was $12,050 per employee per year. The total cost to an organization can be almost debilitating, especially for smaller or mid-sized companies. However, unlike many other line items where cutting spend is acceptable, i.e. it’s okay to forgo the development of a new website to save money, healthcare is an area where organizations not only rarely see costs go down, but struggle just to contain them because they don’t want to diminish or scale back the quality of their employees benefits. In fact, many companies often plan for a 12-15% increase and believe there's nothing they can do about it. It’s just a cost of doing business one year to the next. HR professionals, especially at smaller organizations, often take on multiple roles that range from strategic planning to tactical execution. In addition, they are also responsible for supporting employee health, wellness and satisfaction. It’s candidly a lot of work and the nature of their position is unique and challenging and can impact the culture and productivity of the organization as a whole. Supporting your HR team with optimized tools, technology and systems can help them keep pace with day-to-day responsibilities while staying focused on the bigger picture at the same time. 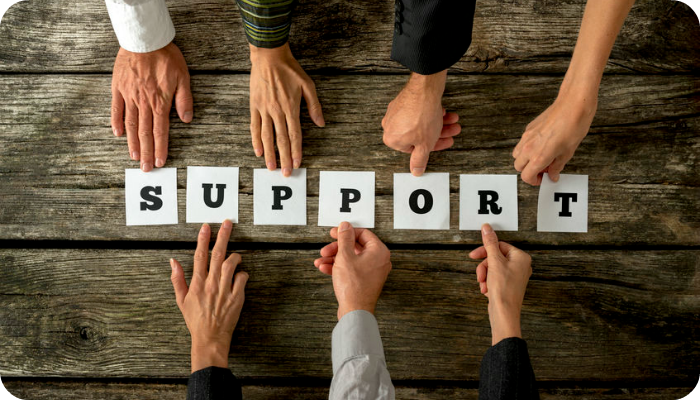 Your benefits adviser should be a key part of your high-impact HR team. Ever Wonder How Insurance Brokers Get Paid? 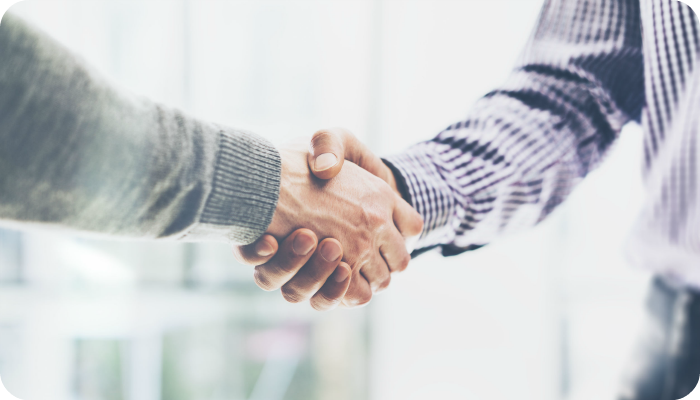 Recently a COO of a prospective client succinctly brought to light one of the primary challenges organizations face when purchasing employee benefits: How do you know your broker has your best interest in mind when he or she presents a benefits plan for your organization? 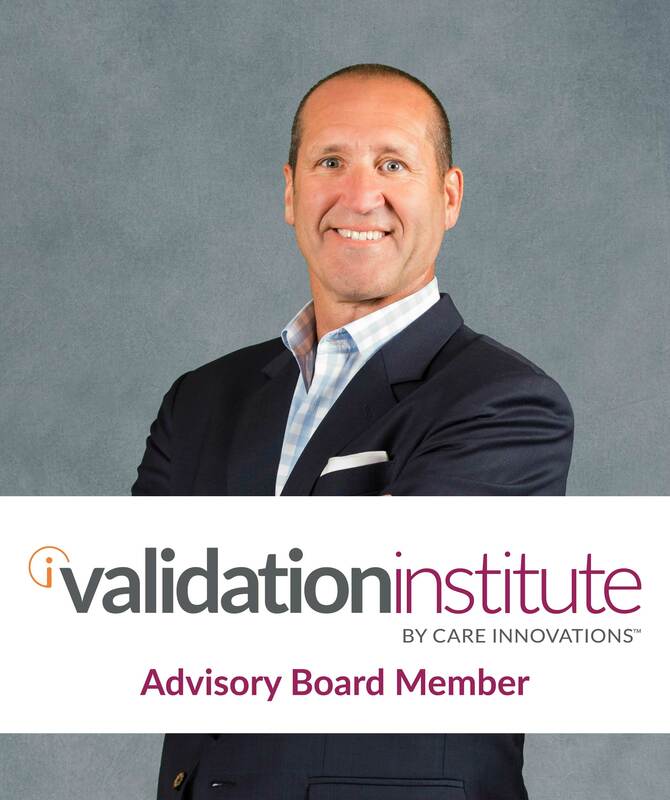 Mick Rodgers, Managing Partner of Axial Benefits Group, was recently named to the Advisory Board for The Validation Institute, (VI). The Validation Institute advocates for organizations and approaches that deliver better health value - stronger health outcomes at lower cost - than conventional health care. 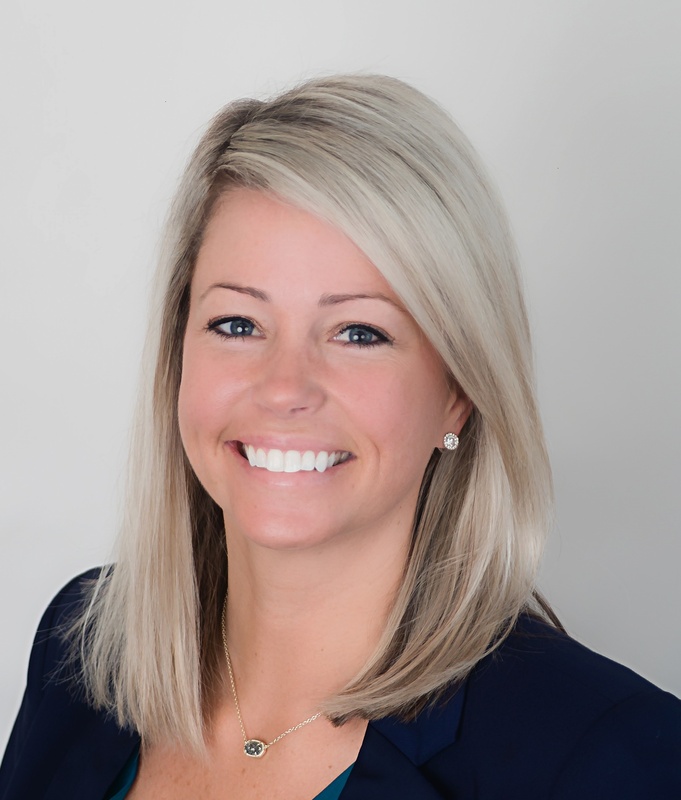 Shawna E. Brackett, Director of Client Services for Axial Benefits, was recently named to Employee Benefit Advisor’s list of most influential women in benefit advising. Boston, MA – Axial Benefits Group and Alliance Healthcare Coalition Managing Partner Mick Rodgers will be alongside Nelson Griswold, President of Bottom Line Solutions, Inc. on July 30th to host an executive roundtable session at the World Congress Employer-Health System Direct Contracting & Partnership Summit in Boston, MA. 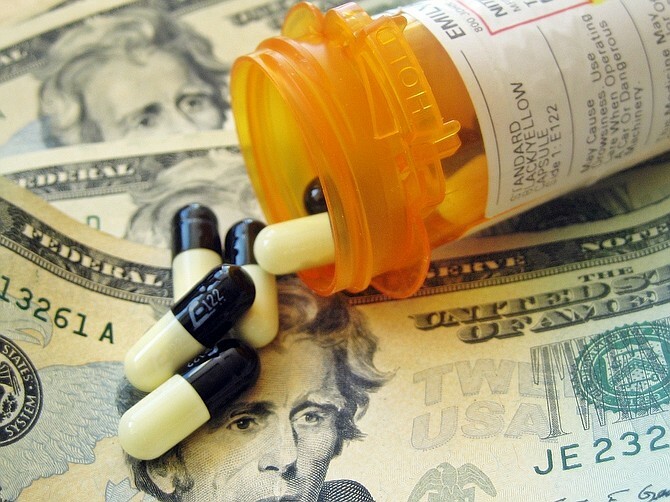 Fed Up with the Cost of Specialty Drugs? There’s a Solution! Prescription drug costs are the fastest rising component of any healthcare benefit program offered by employers. The rate of increase for both brand name drugs and popularly known generics (such as Atorvastatin, a generic form of the brand name drug Lipitor®, used for high cholesterol treatment), which were designed to keep down costs, has far outpaced the rate of cost growth compared to other aspects of your healthcare spending. 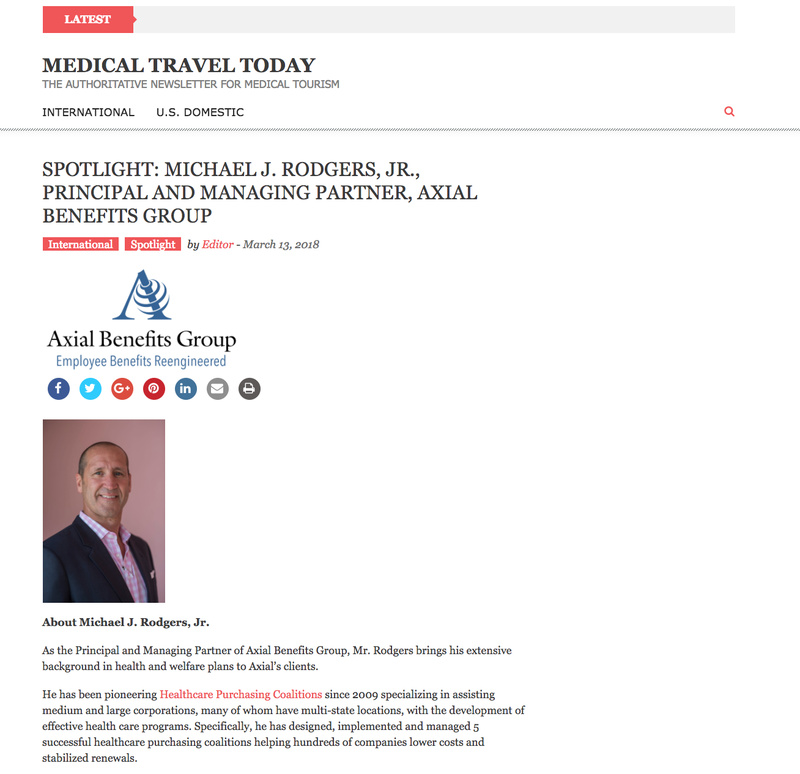 This month the Medicaltraveltoday.com spotlight interview highlights Michael J. Rodgers, Jr., Principal and Managing Partner of Axial Benefits Group. 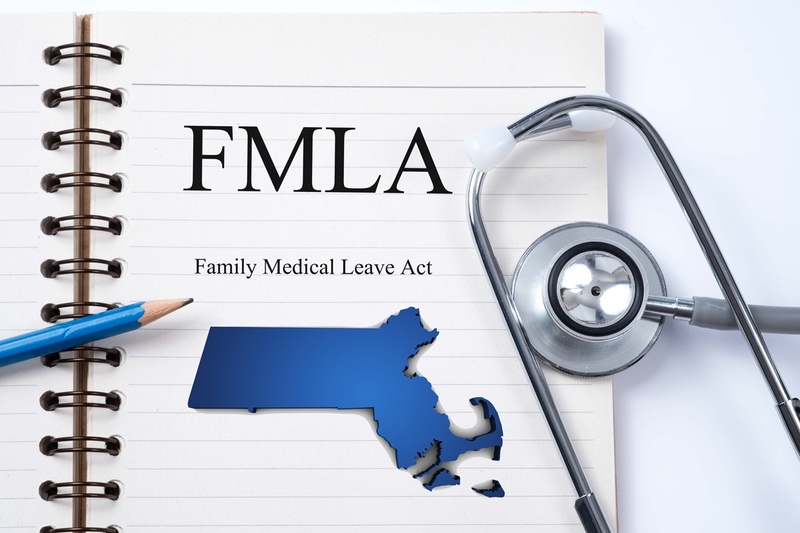 In this exclusive interview, they focus on exactly how Axial Benefits Group successfully specializes in Healthcare Purchasing Coalitions for mid-size companies and direct contracting with hospitals and providers to build their own HMO style products for local employers.